You’re living minutes from Spring Lake, so take a break from your studies and go for walk along the waterside trails, or get a close-up look at the rare and endangered marine life on a glass-bottomed boat trip. Perfect your paddleboarding or scuba diving skills on the lake’s crystal clear waters, or book an evening kayaking tour and watch the colours of the sunset spread across the lake. Meet friends for chicken fried steak at Café on the Square, then stop for a scoop of avocado coconut ice cream at Rhea’s, or try the famous Manske Rolls at Gils Broiler, topped with bacon and caramel. 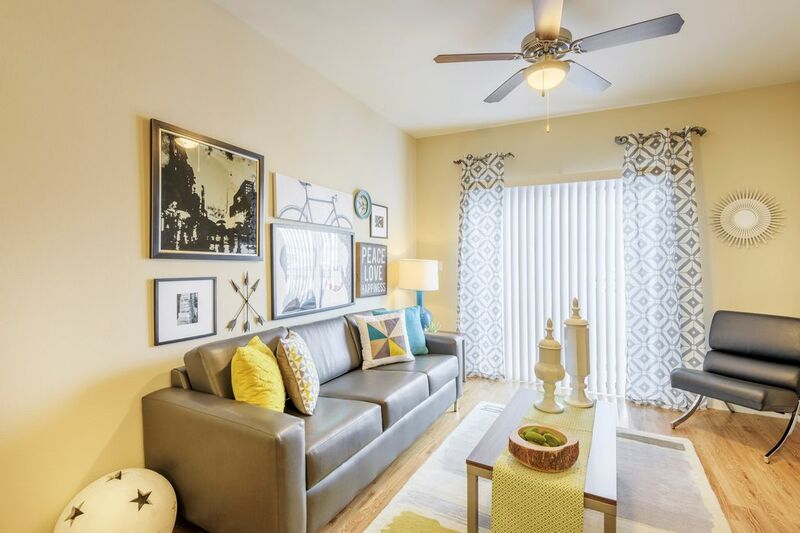 It’s a 10-minute drive to Texas State University from your new home at Aspen Heights, or you can leave your car at home and travel on the private shuttle, which provides a convenient door-to-door service. When you don’t need to rush off to class, concentrate on your next assignment in the comfortable study lounge, or organise a study group and work together in one of the private rooms. There’s a computer lab where you can work on presentations or print out your notes, and there’s a large desk in your room which is perfect for focused study sessions. Make the most of your downtime and relax beside the California-style pool, or work on your fitness in the 24-hour gym. 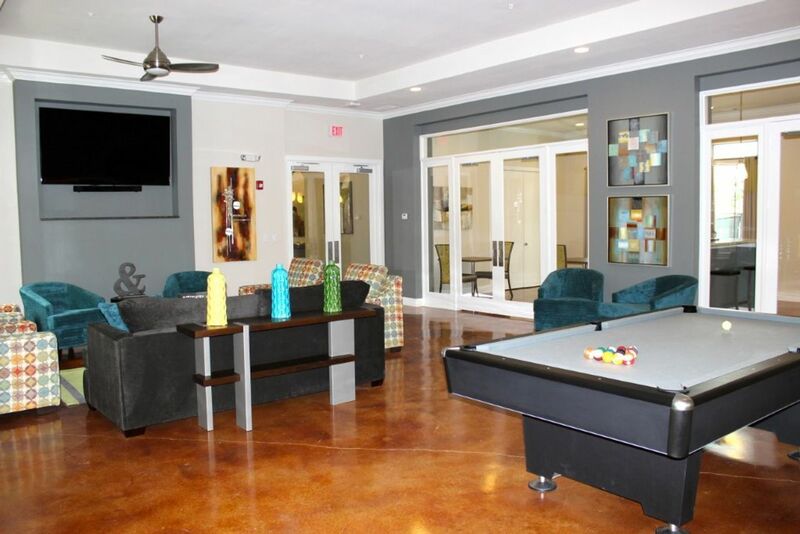 There’s a basketball court and full-court volleyball, but if you’re in the mood for taking it easy, you can watch TV or play pool in the Clubhouse, or top-up your tan on the tanning beds. Back in your huge bedroom, freshen up with a hot shower in your private ensuite, then put your feet up on your big, comfy bed and use the high-speed Wi-Fi to Skype friends and family back home. 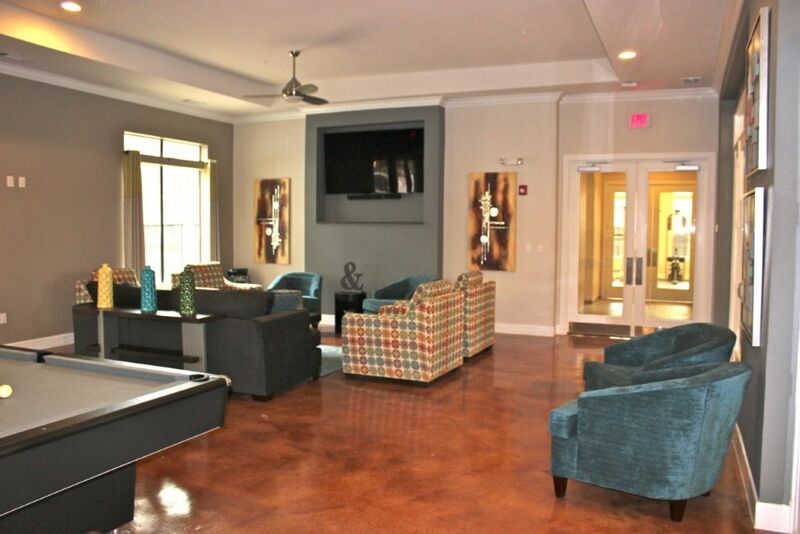 When hunger strikes, whip up a feast in the fully-equipped kitchen, or order hot wings and sweet potato fries from nearby Pluckers Wing Bar, grab a seat on the sofa in your communal lounge and enjoy a quiet night in. There’s a washer/dryer in every apartment, and an on-site management team and concierge to help with any problems or concerns. Safety is a priority, so there’s secure gate access for your peace of mind. Wir haben leider keine Unterkunft gefunden, die deinen Wünschen entspricht.Alle Privatzimmer in Aspen Heights San Marcos ansehen.